COLLECT TIPS TO BENEFIT SPECIAL OLYMPICS. JOIN US AT ANY TEXAS ROADHOUSE LOCATION IN TENNESSEE! 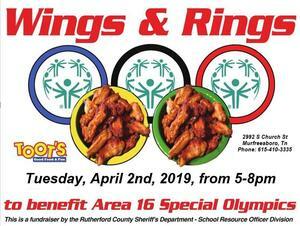 Join us on Tuesday, April 2nd from 5:00-8:00 PM for the Rutherford County Sheriff's Department-School Resource Officer Division fundraiser to benefit Special Olympics. The event will take place at Toot's at 2992 S. Church Street in Murfreesboro, TN. It will be an evening of Wings and Rings. Come out and support our SRO and Special Olympics. Join us at Rocky Fork MIddle School for STEAM Night! You are invited to attend STEAM Night at Rocky Fork Middle School on Tuesday, March 12, from 5:30-7:00 PM. It's a fun night of interactive investigations, activities, and experiments for the entire family. RSVP: Please respond by March 8, 2019. Only one per family. 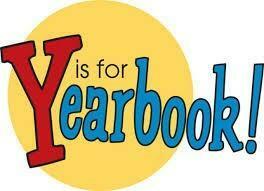 Return bottom portion of form to your teacher or through ClassDojo. Next week, we will be celebrating Read Across America in honor of Dr. Seuss' Birthday. We will have fun dress up days (listed below) and a school wide "READ IN" on Friday. 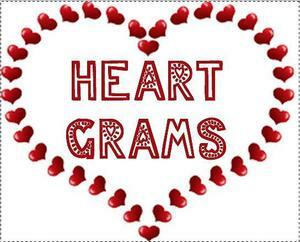 David Youree Elementary will kick off the Kids Heart Challenge on January 31st in the gym beginning at 7:45 am. This event is to raise funds for the American Heart Association to fund potentially life saving research into heart disease and stroke, OUR NATIONS NO. 1 and NO. 4 killers. The event will run until Feb. 8th. Click on the link to read more.